Hes a calm character who like to meditate in his spare time and he controls plants. Kinda like Lapis with water. 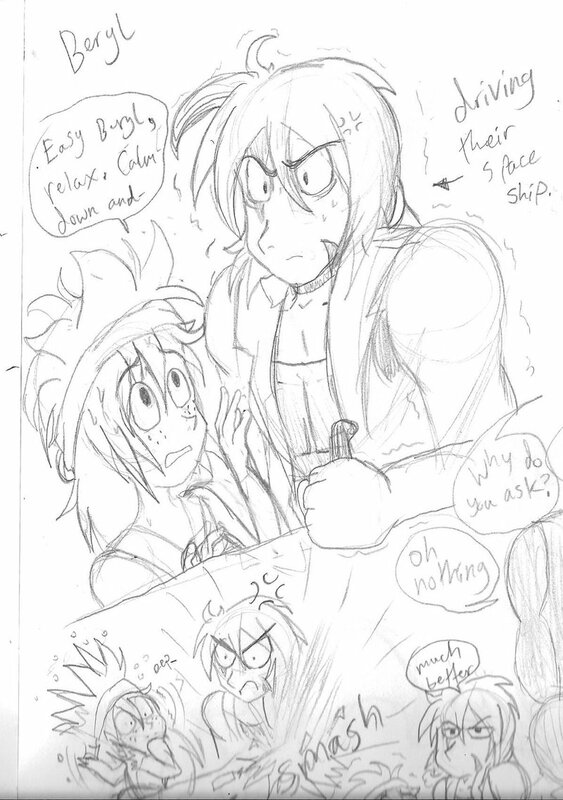 While Beryl is a very quick to temper kind of guy. But despite his huge form, when it comes to friends and his lover Emerald hes a gentle giant. The last sketch is when I first drew emerald :/ eugh.